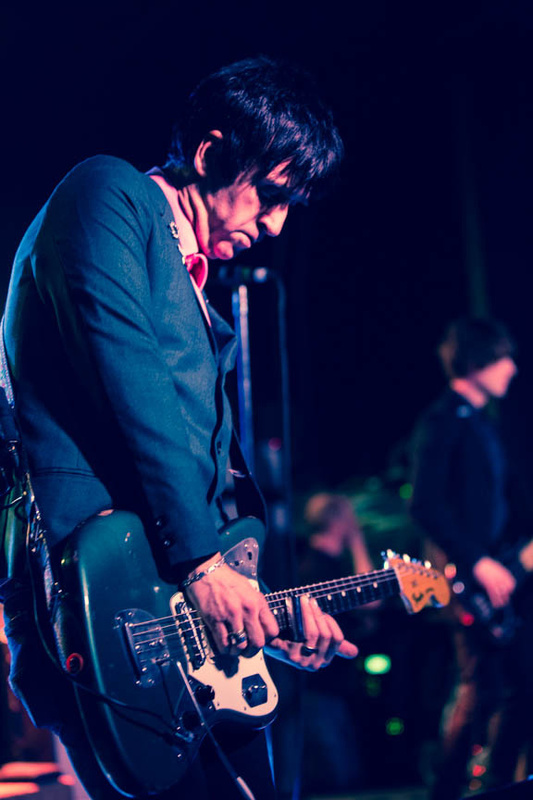 Johnny Marr is definitely one of my guitar heroes. To me, in an unusual way, meaning I don’t try to emulate him personally. I really enjoy his style and The Smiths, but I would not call the Smiths as favorite band (don’t get me wrong, some stuff is amazing!). He’s a hero because how he connects with the guitar and the ability to create an emotional response, just from his playing. He has a style all to his own – and it’s cool to watch him do what he does. Today I wanted to post this great video where he talks about getting his ’59 Gibson ES-355 and within minutes of playing the guitar wrote Heaven Knows I’m Miserable Now and Girl Afraid. Check it out.. I think that is very interesting. I’ve had moments similar to this with my guitars – granted, I didn’t write legendary songs, but nevertheless I was inspired. Some instruments immediately grab you and almost force a riff or two out of you instantly. Some instruments have the ability that is unique to that particular guitar or that particular style of guitar. I remember the day I first played my Travis Bean – that was one of those moments. I would say a close second was a my Jazzmaster – which was the first real time sitting down playing one and enjoying all the quirks that come with them. Has an instrument inspired you? Let me know by commenting below!